Disney World straddles some of the worst examples of sprawl, and best examples of walkability in Central Florida. Its theme parks, havens for pedestrians, are surrounded by seas of parking lots. Millions of visitors arrive by car to the tourist destination—located nearly 20 miles from downtown Orlando—with no robust transit connections outside of privatized shuttle services. But visitors are not flocking to Disney World to experience parking lots and shuttles. Instead, tourists pour into Lake Buena Vista for the premiere, pedestrian-only enclaves of the expensive theme parks and free "downtown" section, recently redesigned and reopened as Disney Springs. 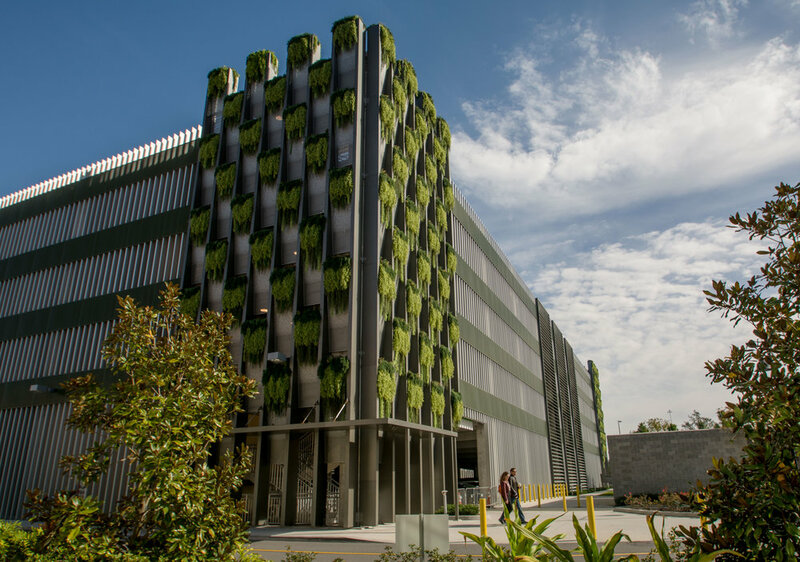 Disney spared no expense with renovations, installing two new parking garages adorned with greenery. Albeit fake, the plants help mask the concrete structure and provide a surreptitious way to house a few thousand cars. Featuring a hot air balloon ride, amphibious boats, brand-name clothing stores, a movie theater, and eateries galore, Disney Springs delivers ample activities. The most fascinating part of the downtown, however, is its remarkable resemblance to a European town. Cobblestone streets meander through Mediterranean-style storefronts, plazas, and greenspaces. 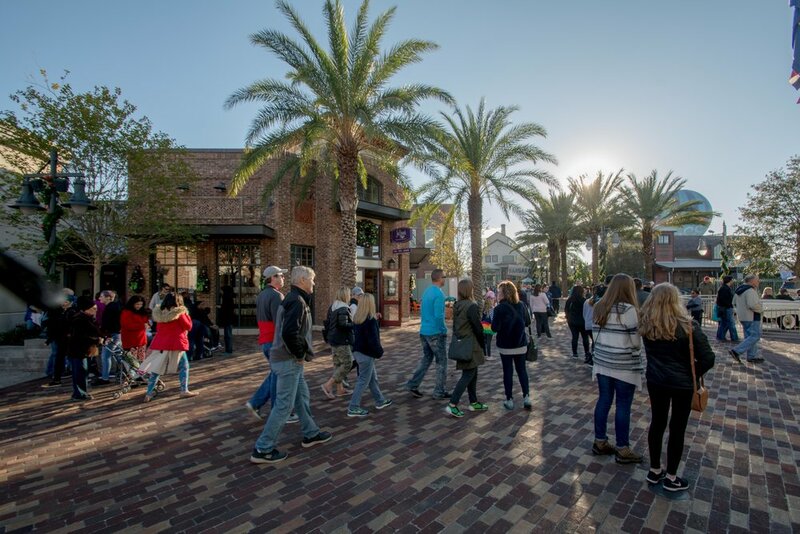 Unlike the older portions of the downtown which follow an overtly Disney aesthetic, the newest portions of Disney Springs are so akin to an Italian village center that visitors might just forget they are in the Sunshine State. The Mediterranean aesthetic abounds in the new portions of Disney Springs. Unlike real town centers, none of the buildings in Disney Springs are used as residences—or for any other civic function, even when the area was formerly known as Downtown Disney. Forget City Hall, public libraries, performing arts centers, schools, fire stations, jails, and homeless shelters. Disney Springs offers the density of a downtown without the element or responsibility of civic engagement. It offers the convenience and beauty of a Mediterranean village without capitalizing on the residential value often associated with high-end fashion avenues. New construction in the town center departs from the campy remnants of Downtown Disney, and pays tribute to the local ecosystems with an imitation spring. One cannot help but notice the town's "bottling company" watching ominously over its azure pool—an ironic reminder of the frequent fate of Florida's natural resources. Disney Springs is a manufactured place intentionally designed not to be a real town center with real town citizens. However, many nearby jurisdictions are functioning towns that have made concerted planning efforts to become the places they are today—none of which look anything like Disney Springs. Imitating this kind of development throughout the region is not impossible. There is no law of nature prohibiting mixed use, aesthetically pleasing, and pedestrian-oriented developments from existing in Florida. Its popularity among tourists and locals alike, on the other hand, is a testament to the type of urban design that people want: design that allows people to gather, to people watch, to shop, and to recreate in the company of others. Not all of Disney Springs is successful urbanism. A view from above reveals the artificial nature of this otherwise painstaking recreation of a walkable town. Nevertheless, developers and city planners in the region would be wise to accept the success of the European village aesthetic, to understand what draws crowds of people to Disney Springs, and to cultivate developments and zoning codes that recreate this experience elsewhere.